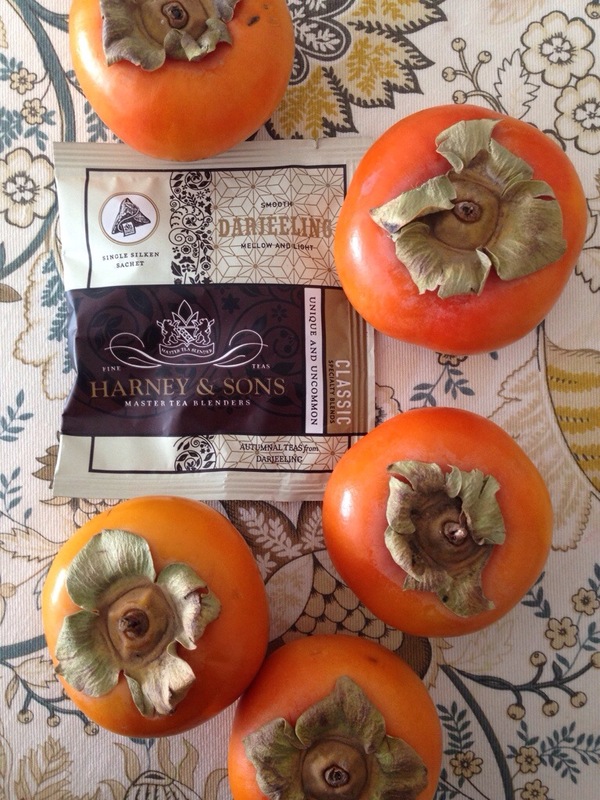 Have you ever tried persimmons? They look like tomatoes, but have a honey-like sweetness. This fruit is in season in the fall and tastes great in breads, pies, puddings, and in the raw. 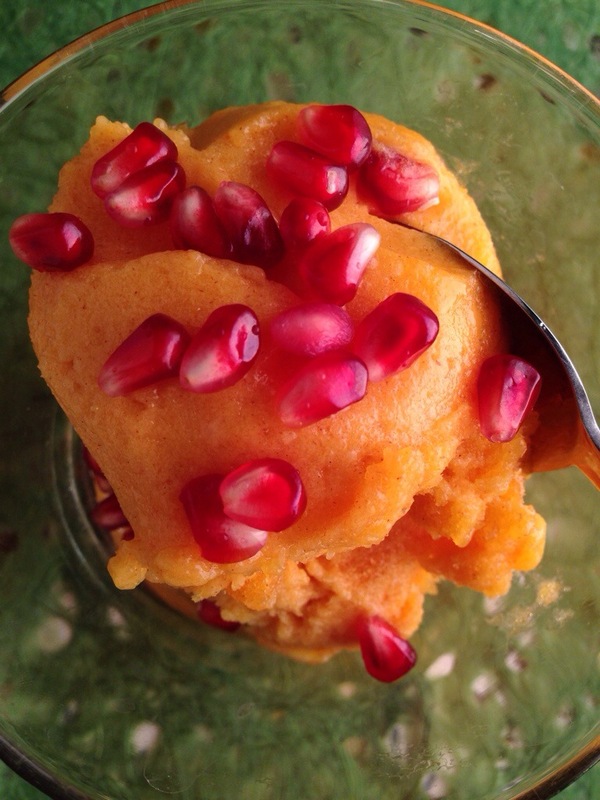 I decided to use my persimmons in a fresh sorbet with black tea. It’s very easy to make and tastes refreshing! 1. Peel the persimmons by placing them in boiling water for 30 seconds, then running under cold water to peel. 2. Place the peeled persimmons, tea, and sugar in a high powered blender. Blend until smooth. 3. Pour the purée into a Pyrex dish and freeze for at least 2 hours. 4. Scoop the frozen purée back into the blender and re-blend until smooth. 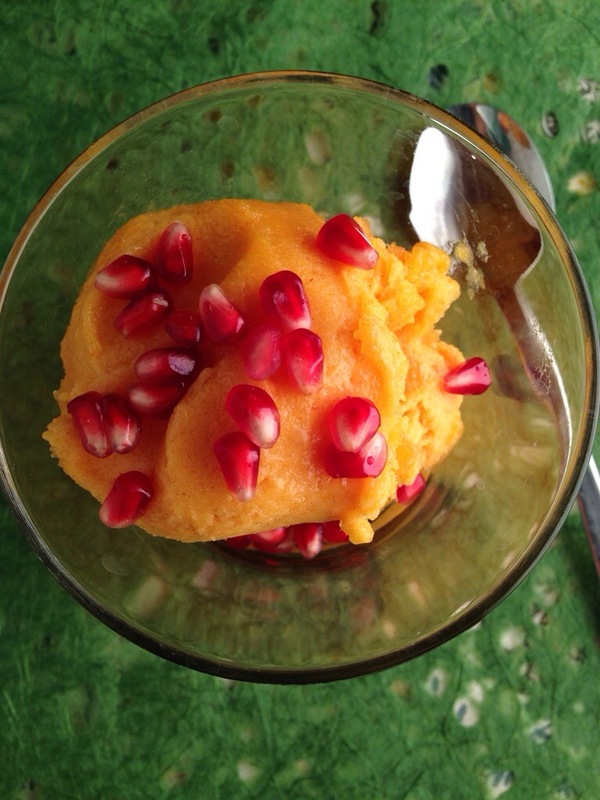 Serve with pomegranate seed sprinkles!